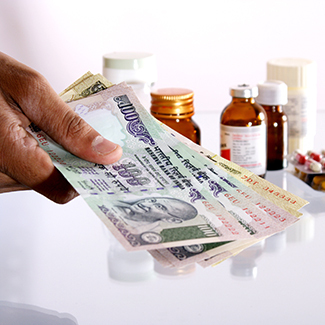 Chennai-based GreenSignal Bio Pharma Ltd made no headway in finding institutional investors on Friday, which is crucial to see through its initial public offering (IPO) that was twice extended due to unfavourable market conditions. The initial share sale failed to garner any response from qualified institutional buyers (QIBs), stock exchange data showed. The retail category saw a marginal decline in subscription as well, indicating that a small number of retail investors may have cancelled their applications. On Thursday, the firm that had already pushed the closure of its IPO previously, had once again extended the time period by three more days. Simultaneously it pruned the price band hoping to attract institutional investors. The public issue will now close on November 22 and will run with a revised price band of Rs 68-76 per share compared with the original Rs 76-80 per share. Although, the overall issue was fully covered at the end of the extended six-day issue period on Thursday, the firm did not manage to attract even a single bid by QIBs. Indian Overseas Bank (IOB) is the sole financial advisor to the issue. BSE’s 30-stock benchmark Sensex has declined 5.22% since 8 November when Prime Minister Narendra Modi announced the demonetisation of higher value Rs 500 and Rs 1,000 currency notes. A day later US voters elected Donald Trump as their new president, in a surprise development. Trump had voiced his opposition to world trade and his election has brought a new dose of uncertainty into the global economy. GreenSignal launched its three-day IPO on 9 November. On 11 November, it decided to extend the IPO by three working days till 17 November. Even then, it failed to garner any response from institutions. As on Friday, the non-institutional investors’ category comprising high net-worth individuals and corporate investors’ portion was oversubscribed 16%, exchange data showed. Retail investors bid for almost nine times the shares reserved for them, the only saving grace for the IPO. Chennai-headquartered GreenSignal is engaged in manufacturing and development of BCG vaccines. It aimed to raise as much as Rs 116 crore initially, but is now aiming at only up to Rs 110 crore. At the lower end of the price band it would be able to raise around Rs 99 crore. The last public issue that failed to clear the ropes was that of edible oil maker NCML Industries Ltd. The firm had called off its IPO in January 2015 due to poor response from investors even after extending the share sale period and cutting the price band. The IPO market in India picked up pace after four years of slow activity in mid-2014 as the new BJP-led government took over. In calendar year 2015, 21 companies raised close to Rs 14,000 crore in capital, as per stock exchange data. So far this year, 26 companies have tapped primary markets, collectively raising more than Rs 20,000 crore. Interestingly, healthcare as a sector at large had been one of the best performers in terms of share price movement after listed. Another drugmaker to test public markets, Alkem Laboratories Ltd that went public last December is currently trading at over 60% premium to its IPO price.